Westcave has been connecting children and families to nature since 1976, when the Westcave Preserve Corporation was established to restore and protect a popular but rapidly deteriorating picnic spot that encompassed a fern-covered grotto, an ancient rock shelter, and a spectacular forty-foot waterfall. 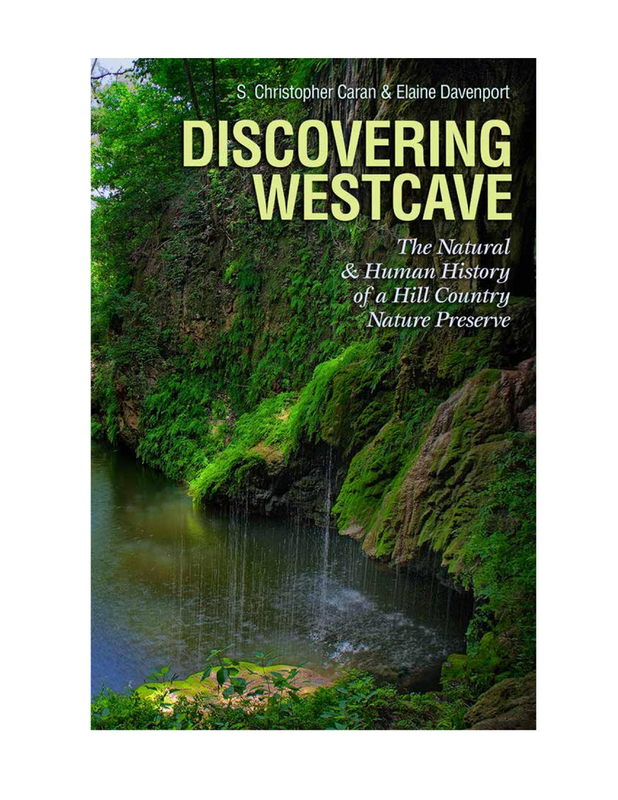 In Discovering Westcave, Chris Caran and Elaine Davenport take readers on a walk through the beautiful preserve, unveiling the evolutionary past of its stunning natural features and acknowledging the many people who have been a part of Westcave’s long history. The aim of this guidebook is not only to share the natural and human history of this refuge, but also to inspire through environmental learning a continued respect and appreciation for the natural world.